Woop-woop! The JazzFM Awards shortlist is now officially out, with nominations made by the great and the good of the music industry. We are thrilled to bits and intensely proud to see so many Tomorrow’s Warriors alumni on this prestigious nominations list! Outstanding, and in demand tuba player, Theon Cross is nominated for the Instrumentalist of the Year (he deserves an award in any case, just for lugging that tuba everywhere!) Also great to see the wonderful pianist and TW supporter, Zoe Rahman nominated here! Congratulations to all our brilliant alumni! Only three of the awards are subject to a public vote and, guess what? 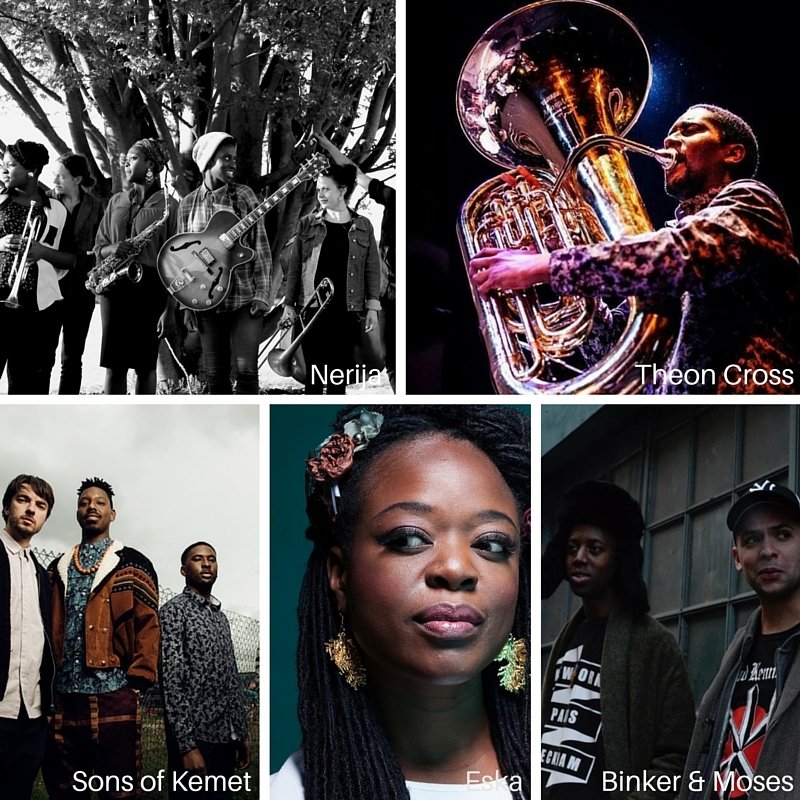 The UK Jazz Act of the Year is one of them, and just happens to be one where Binker & Moses and Sons Of Kemet are nominated! So…if you feel the urge to get up and cast your vote, please feel free to do so here! Take note: voting closes at 11.55pm on 31 March. The winners will be announced on 26 April. See the full list of award nominations. Oh yes, before you head off, do please remember to check out Nérija’s Kickstarter campaign – now they’ve been acknowledged with an award nomination, you have even more reason to support them! Big up the Warriors fam!